If you struggled in high school, but committed to earning a college degree, UPAS is here to help! This program is designed to give you individualized academic support to assist you in making a successful transition to the University environment. UPAS students may select tutoring services from the Learning Commons, receive extensive academic advising, carefully select courses and participate in a bridge experience. You are also assigned an advisor who meets with you regularly to track your academic progress and provide additional support resources as needed. You may be considered for conditional admission in UPAS if your academic performance was inconsistent in high school. Admission to the program is selective, but not as selective as the typical fall and spring admission. Just like your fellow BGSU students, you will enjoy small classes and individual attention. Our average class size is 24. 97% of our graduates report they are employed, in graduate school or starting a business within six months. When you earn 'Good Standing' status (minimum of 2.0 cumulative GPA) after your first semester, you will be transferred out of the UPAS program and be officially admitted to BGSU. At that point, you can declare your major and transfer to your major/college! Email upas@bgsu.edu for more information. College Reading/Learning Skills (ACEN 1000): Improve your basic reading/learning habits of college students' vocabulary, comprehension, note-taking, time management, test taking, analytical and critical thinking. As a UPAS student, you are required to meet with your advisor at least four times a semester. Office of Undergraduate Advising and Academic Services. Why do I need to meet with my advisor? Your advising appointment is an opportunity to discuss any aspects of your experience at BGSU. Of course, your academic progress is important, but other topics, such as course selection, choosing a major, and/or involvement in campus activities will be part of your conversation. Your advisor can serve as a sounding board for ideas and is a valuable referral source for other campus resources. Who is admitted to the UPAS? Students who have had inconsistent academic performance in high school (typically a cumulative GPA of less than 2.5 and/or ACT of 19 or below) may be offered conditional admission to BGSU through the UPAS program. What happens after I am admitted to UPAS? Before your first semester, you will be required to attend our Student Orientation, Advising, and Registration (SOAR) program. This orientation helps new students transition to campus and learn more about the UPAS program and resources/services available. An academic advisor will help you select classes that will provide an appropriate foundation and level of challenge. You'll also begin to form a plan that will include strategies to strengthen any areas of academic weakness. What are my obligations as a UPAS student? As a conditional admit to BGSU, you will sign a contract outlining your expectations and commitment to working toward academic success at BGSU. You will be assigned an individual academic advisor who will help you develop an academic plan and monitor your academic progress throughout the semester. You must schedule monthly appointments with your advisor, communicate any needs and concerns, and take advantage of the resources available. Following your first semester, if you meet all of the contract requirements, you will be officially admitted to BGSU and may transfer into an appropriate major or Pre-Major Advising (if you are still exploring majors) during your second semester. At least once each month. This will result in a minimum of four advising appointments during the semester. The first time you meet, you’ll discuss your schedule, possible academic majors of interest, set goals and schedule future meetings. All other meetings will be spent discussing class progress, course scheduling for the next term, final progress, etc. Are there “special” courses I need to take because I am in UPAS? All UPAS students must participate in a “bridge experience” their first semester. Other than that, it will depend on your placement results in English and Math. Lower placements will require enrollment in “developmental” courses that may not count towards graduation requirements. Also, if you have an articulation deficiency (college prep requirements not completed in high school, such as foreign language) this may need to be addressed. What are my “Bridge Experience” choices? All UPAS students will be required to take ACEN 1000 their first semester at BGSU. ACEN 1000 is designed to help students transition to higher education and learn some of the academic skills necessary to be successful at the college-level. In my first semester can I take courses towards my major? This depends on the major and available courses offered in the fall and spring terms. The same applies to all BGSU first-year students. You'll enroll in four or five classes (12-15 credit hours) during your first semester at BGSU. In addition to ACEN 1000 (your UPAS bridge experience) and English composition (GSW), you will likely take two other classes that fulfill general education requirements at BGSU. Depending on the major you are planning to pursue, you may also be taking a math course or introduction course to your major. Will all my classes count toward graduation? Based on your placement tests, you may be enrolled in an English or mathematics class that does not count toward graduation but will strengthen your preparation for college-level work. ACEN 1000 and other elective hours you choose may also not count for specific degree programs, but most other courses will count toward graduation as long as you achieve satisfactory grades. Your academic advisor will help you select appropriate courses that fit your interests and goals. The courses listed below are BGSU requirements, regardless of program or major. • In addition to GSW 1120, 36 hours of "general education curriculum" are required. This is the "BG Perspective" curriculum - click here for more information on "BG Perspective"
Do I have to live in a special Residence Hall? No. All new UPAS students may choose from any residence hall using the same process as any BGSU student. However, if students choose to participate in the Chapman Learning Community, they will be required to live in Kohl Hall. Do I need to use my BGSU webmail account? Yes. Your BGSU email is the primary email address we will use to communicate any important information. It is also the only email address you can use to access the BGSU web portal, “My BGSU”. The MyBGSU web portal is an online interactive site that allows you to access and monitor BGSU information and coursework. It will allow you to view your registration, room and meal information along with accessibility to see Bursar fees. Other options will enable access to online academic content, discussion boards and chat rooms to enhance your connection to the BGSU community. What are mid-term progress reports? BGSU instructors can provide alerts throughout the semester. We encourage you to reach out to instructors with any questions or concerns regarding their alerts. Do parents (or guardians) get copies of mid-term reports? No. However, parents and/or guardians are permitted as part of the UPAS contract to contact the UPAS academic advisors about their student’s progress. Typical communication is done through a phone call or email. However, we strongly encourage parents/guardians to communicate with their student prior to being in contact with UPAS advisors. Are parents and/or guardians sent email updates? In the Fall term only, weekly email updates are sent to all parents/guardians who have provided our staff with active email addresses during SOAR. The messages are general statements related to important dates and pertinent academic announcements that all UPAS students receive. These weekly email updates do not provide specific information about individual students. Parents/guardians requiring additional information may email or call their student’s UPAS advisor. After my first year, can I take summer classes at BGSU or elsewhere? You are able to enroll in summer courses at BGSU. 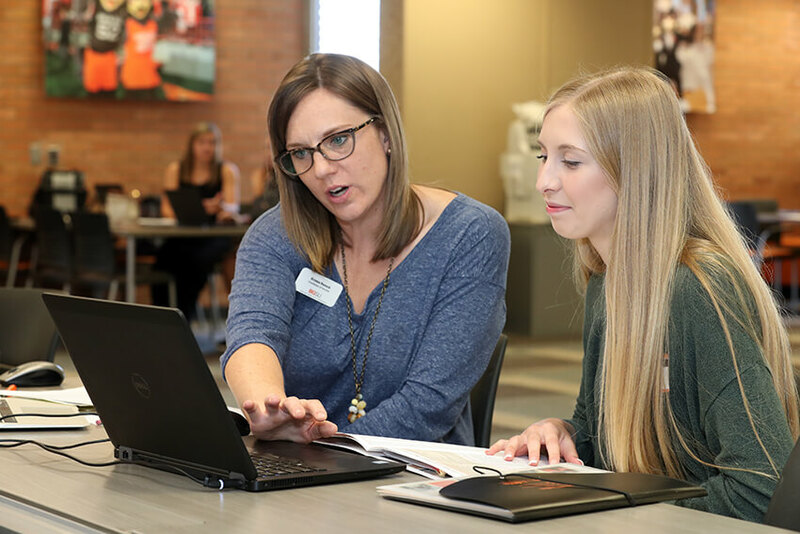 If you plan to take courses elsewhere, you must consult with your UPAS academic advisor and talk with a representative in our Transfer Credit Evaluation (Registration and Records) office to identify which courses are equivalent for BGSU course credit. Who is my UPAS Advisor? To find your advisor's name and contact information, go to MyBGSU and click on "Student Services”. Advisors may not be listed until the beginning of the semester. If there is no academic advisor listed or you have difficulty accessing the site, contact our office at 419-372-8943, or email upas@bgsu.edu. The Office of Pre-Major & Academic Planning is located at 292 Hayes Hall. To schedule an appointment with your UPAS advisor, call 419-372-8943. View the list of UPAS advisors and staff. How do I move out of UPAS? After you complete your first semester with a 2.0 or better GPA, you are in “Good Standing” and are able to move out of the UPAS program. You will automatically be transitioned to Pre-Major Advising (undecided) but may be able to declare your major, depending on your proposed major GPA requirement. Your advisor can go over the details regarding transferring into an appropriate major. Keep in mind that, although UPAS requires you to have a 2.0 to transfer out, many majors at BGSU have competitive entrance requirements and require higher grade point averages to be considered. These include business, nursing, teaching professions, sport management, and others. More information is available in the BGSU undergraduate catalog. What happens if I don’t get a 2.0 after my first semester? Am I able to continue at BGSU? It depends on your GPA and number of hours completed. If your GPA is less than a 0.5, you are not permitted to return to BGSU. Students who receive a GPA between a 0.5 and a 1.49 or earned fewer than 11 credit hours may submit an appeal to have the opportunity to return for the next semester. Students earning a 1.5 or higher but less than a 2.0 are able to return but will remain in UPAS. Your admission continues to be conditional and you are expected to continue abiding by the UPAS requirements until you earn a cumulative 2.0 GPA.